We got off that bus and then walked up a bloody huge hill to get the hostel. Not surprising considering we’re in the mountains 11k ft above sea level! Literally the last section was up a whole load of stairs (see photo below), coupled with some heavy bags and the altitude it was less than ideal, (no amount of work outs on the stepper was going to help). 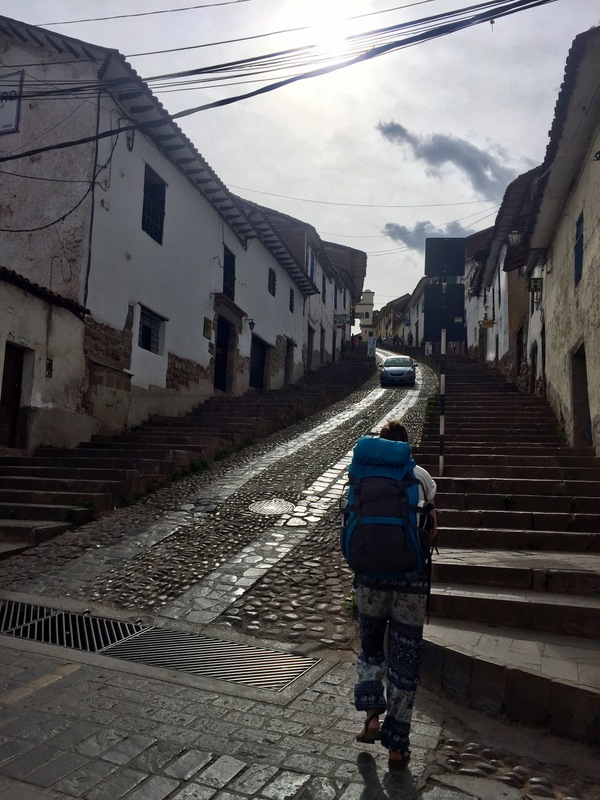 After a shower and a spruce up we headed into Cusco for food and wander. 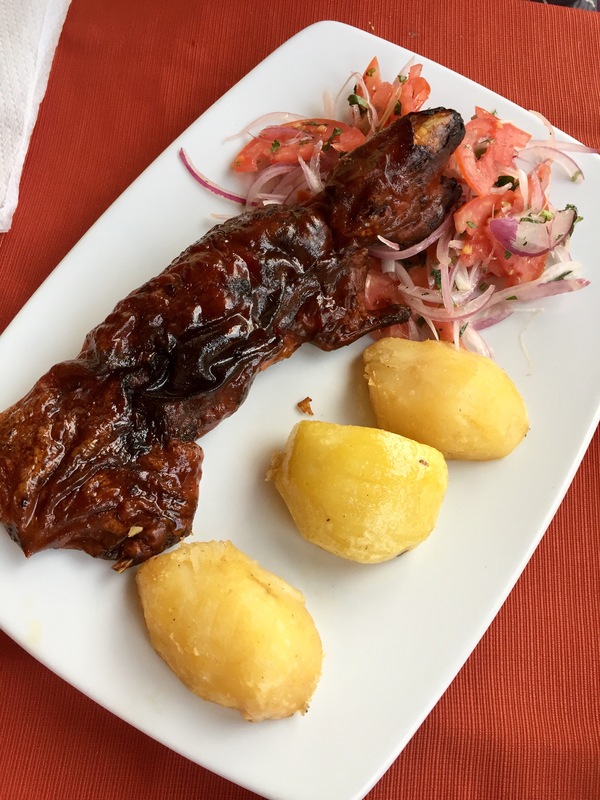 One of our things to try in Peru is Guinea Pig so we dived straight in, at a restaurant overlooking the square. I think I had a bit of altitude sickness, plus having not eaten properly for close to 24 hours I wasn’t feeling my best. A crispy Guinea pig and some pizza sorted me right out and I was set. 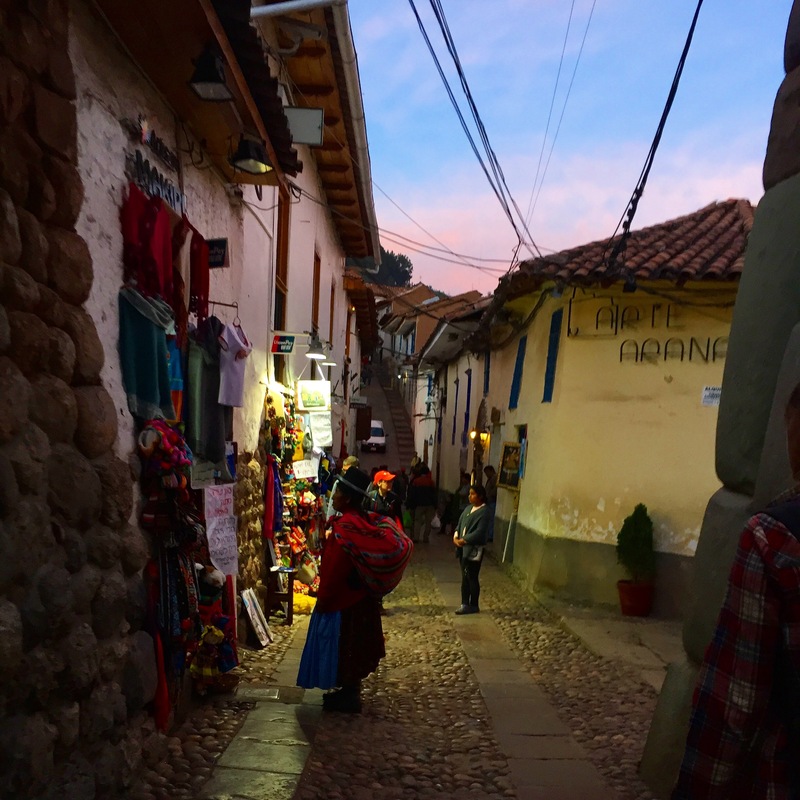 We looked around the city, checked out all the Peruvian souvenirs and eyed up which Alpaca items we would buy. Alpacas are so soft. Like unbelievably soft. Below is a photo of me with an Alpaca hat on ha! For the evening we had a few drinks (hahah ok understatement of the year it was more like 20) in some bars made friends with a few fellow travellers too! Always good to hear recommendations and stories from other peoples trips. This morning we headed into the city for a short briefing about the trek tomorrow, then wandered around in the sunshine! Life here is so chilled. 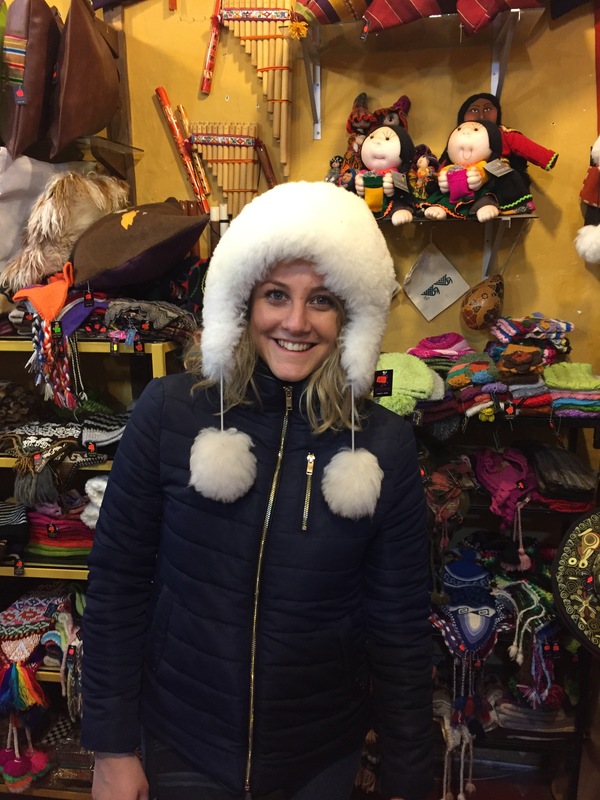 We popped into a market and then negotiated ourselves some Alpaca gifts including a jumper, socks and some cool head gear (photo to follow on the trek haha). Having chatted to a fellow Londoner who was working at a vegetarian restaurant we headed there for lunch and met a fab woman and her daughter who were travelling the World over 10 months – so cute and such an amazing story. They featured in the Romanian version of Forbes as no one from Romania has ever done that before! You can find them on Facebook too! Now we’re chilling before this evenings activities (whatever that may be) and an early start for the trek tomorrow! So excited. Next Post Trekking Machu Picchu! Wow, 11 thousand feet up and there’s towns and cities. I know they’re there but it’s still crazy to think about it sitting at home on my sofa in the UK. Also, Guinea Pig… we all know they’re a common food over there, any good??? I can’t see me going to the local pet shop to whack a Pig just for the barbie!